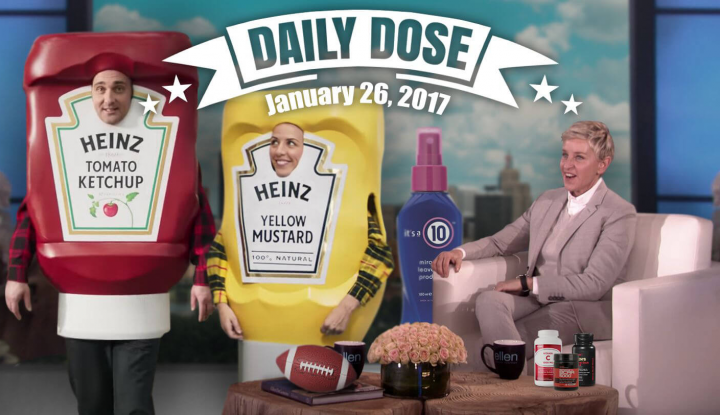 The Daily Dose: Heinz For Smunday, GNC For Change & Ellen’s Special Ad 0 out of 5 based on 0 ratings. 0 user reviews. With 2017 ad space said to be the priciest in the history of Super Bowl – an estimated $5 million for 30 seconds – some brands are going for an alternative approach to getting their names out there. We’re talking national petitions, high-profile competitions, and more creative ideas. Meanwhile, those who have bought a spot, are busy rolling out their teasers. Here’s all you need to know today. 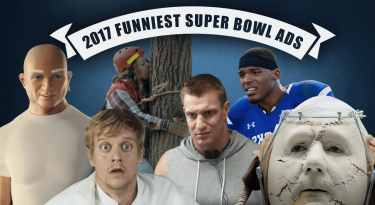 Hold onto your hats, it’s time for your daily dose of all things Super Bowl 2017 commercials. Mr. Clean Super Bowl LI Offical Pre-Release Is HERE! This one’s for the ladies! America’s #1 household cleaning brand has gone the extra mile for its debut Super Bowl commercial. Brace yourselves for a 30-second Mr. Clean extravaganza. We’re talking the man with the muscles looking extra buff, in his all-white getup, bustin’ some grooves, and almost making out with the lady of the house. But, is it all just a figment of Sarah’s imagination? 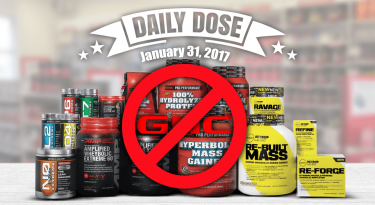 After a year on the struggle bus, vitamin makers GNC have turned over a new leaf. The release of the GNC Super Bowl 2017 teaser, “Courage To Change,” is out to prove it. The 30-second spot will air during the first quarter of the Super Bowl and is part of a larger campaign to highlight the company’s rebranding as “ONE New GNC.” With inspirational lines and acts of strength featured in the teaser, we’re already feeling convinced. Heinz Wants Monday Off Work – and So Do We! After last year’s brilliant Heinz Super Bowl 50 commercial, the world’s favorite sauces have chosen to sit out of this year’s Big Game. You can help make #SMUNDAY a National Holiday at www.SMUNDAY.org. To lead by example, Heinz is giving all employees in their US offices a day off on February 6. The idea to “make Monday more like Sunday” came from DAVID Miami – the same ad agency behind the company’s weiner dogs stampede for last year’s Heinz Super Bowl commercial. Remember this? With Oscar-nominated director Bryan Buckley slated to work on the commercial, we do hope that It’s a 10 Haircare will up the ante on creative. Ellen doesn’t quite have a $5 million budget to promote her show at Super Bowl LI so instead, the comedian has come up with a cunning plan! (Perhaps it was inspired by Doritos Crash the Super Bowl?) She’s asking her viewers to get their head in the game and create their very own Super Bowl 2017 commercial for The Ellen Show. So, if you’re funny and have 30-seconds of entertainment you think are worthy of a prime time NBC ad spot, Ellen wants to see your ad game.